Powered by AMD’s powerful Ryzen processor, the TS-977XU delivers high system performance with up to 4 cores/4 threads and Turbo Core up to 3.4 GHz. The TS-977XU features a hybrid structure with four 3.5-inch HDD and five 2.5-inch SSD drive bays, allowing for enabling SSD caching and Qtier auto-tiering technology to greatly boost IOPS to meet the performance requirements of demanding applications. 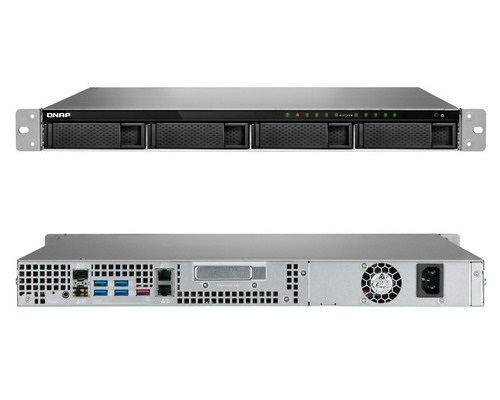 The TS-977XU features two SFP+ 10GbE ports and two Gigabit ports for high-speed connectivity, providing businesses and organizations with an ideal solution for quickly deploying a high-bandwidth, high-reliability storage environment.